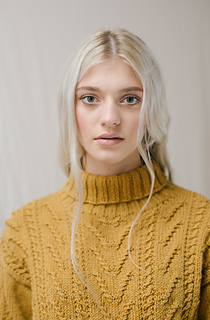 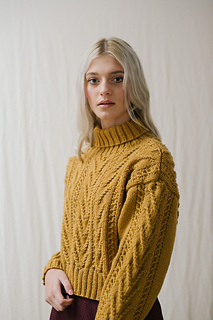 Sarah Hatton loves to bring a modern twist to classic knits, and her smart cabled jumper for women has a fresh, modern look. 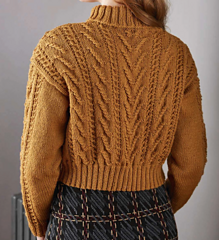 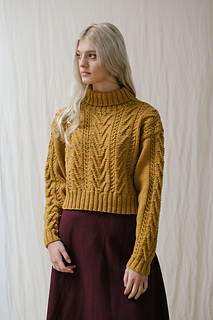 Its cropped shape is paired with a ribbed rollneck collar and unusual cable patterning. 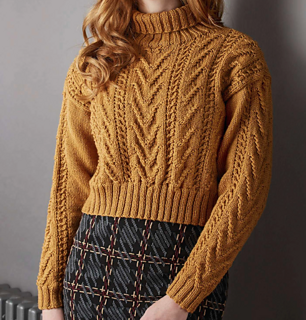 It’s knitted in Rowan’s Pure Wool Superwash Worsted, which comes in an amazing choice of 62 shades, so you can find your perfect colour! 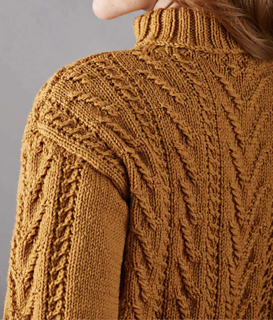 It’s easy to care for and good value, too.